Special Forces Day was established in Russia in May 2006 by presidential decree. The date of celebration was chosen to commemorate the anniversary of issuing a directive that ordered to form 46 companies on October 24, 1950. These first 46 companies formed modern Russian Special Forces. Modern sections of the Russian Special Forces consist of different militarized units of the Federal Security Service, the Ministry of the Interior, the Ministry of Defense, the Ministry for Civil Defense, Emergencies and Elimination of Consequences of Natural Disasters, the Ministry of Justice and other bodies of authorities. 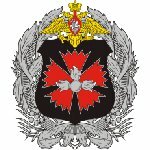 The main tasks of the Russian Special Forces include neutralization of terrorist organizations, conduction of special operations in enemy's rear, subversive activities etc.